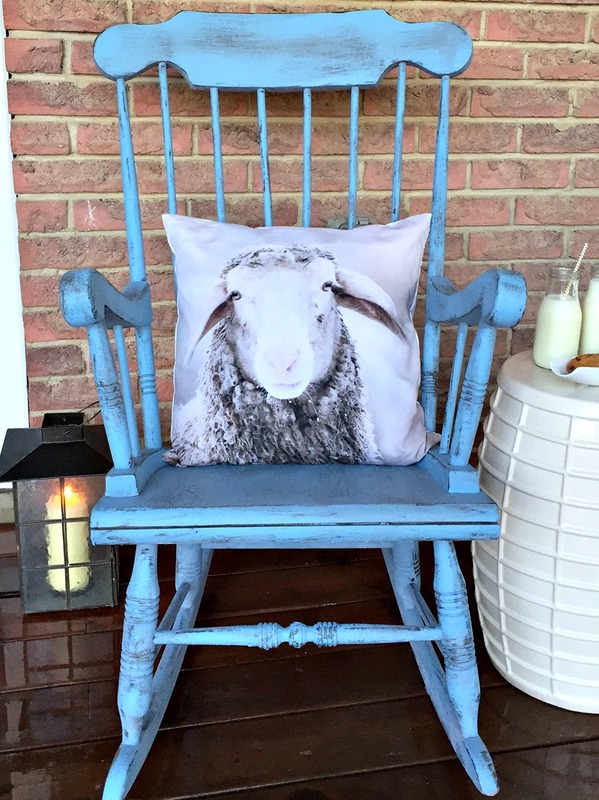 I’ve always wanted to try using Milk Paint for a project, and this month’s Fab Furniture Flippin Contest was the perfect chance to refresh this bland chair into a farmhouse rock star! 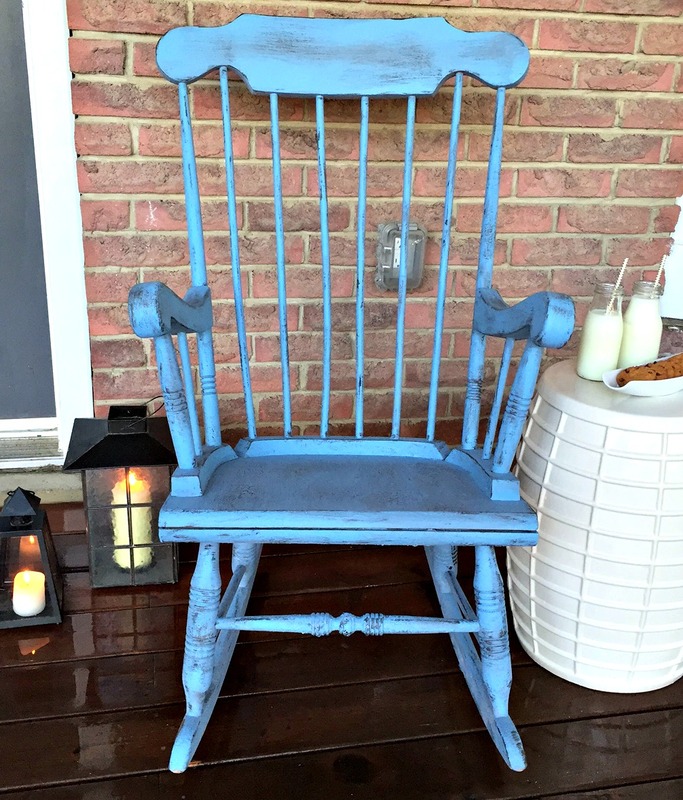 I love the colour blue, and since the theme for the July #FFFC is Farmhouse Fun, I was able to transform this old rocking chair into a farmhouse beauty. Nothing says farmhouse like a bright vibrant colour, and this fun tone fits the bill perfectly. 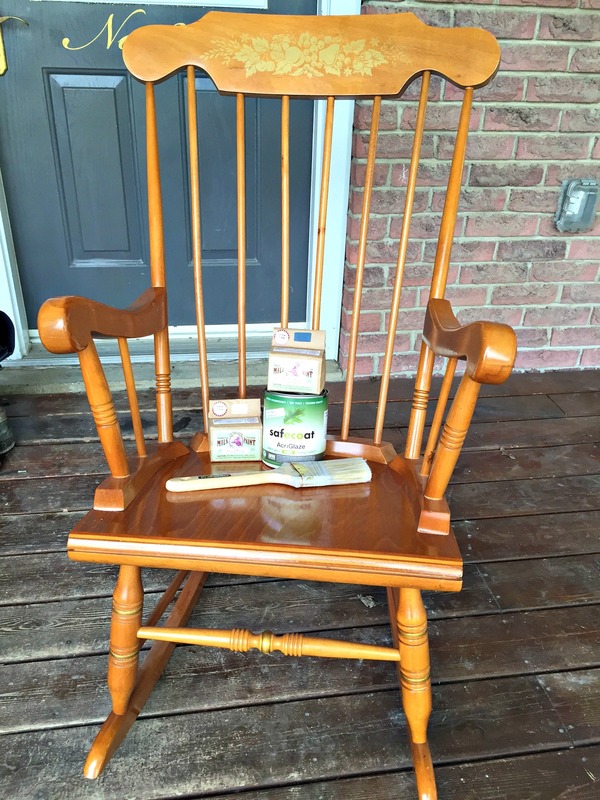 Here’s how my rocking chair started out. 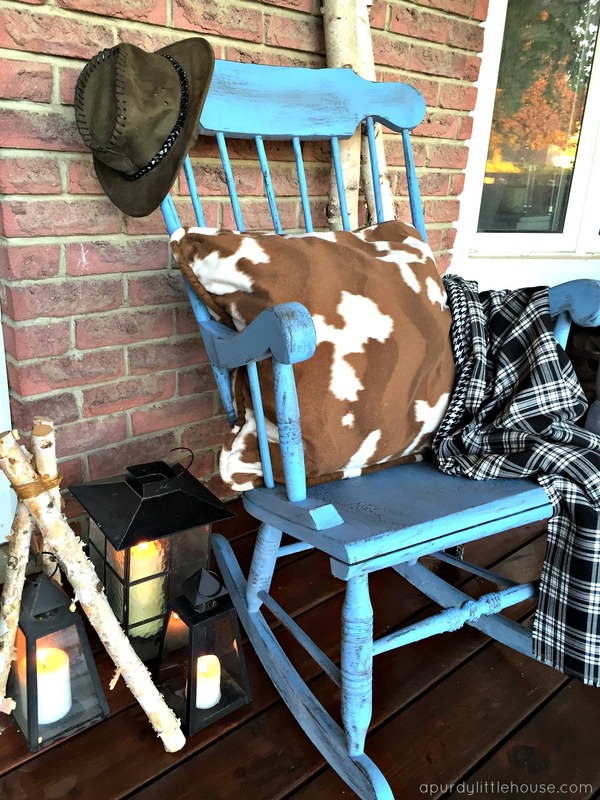 Yawn…..
For my colour choices, I was able to select two colours from the Old Fashioned Milk Paint line. I wanted a farmhouse blue, so I decided to go with Snow White and Soldier Blue, so I could mix them together to get the look I wanted. This paint was super cool to use. 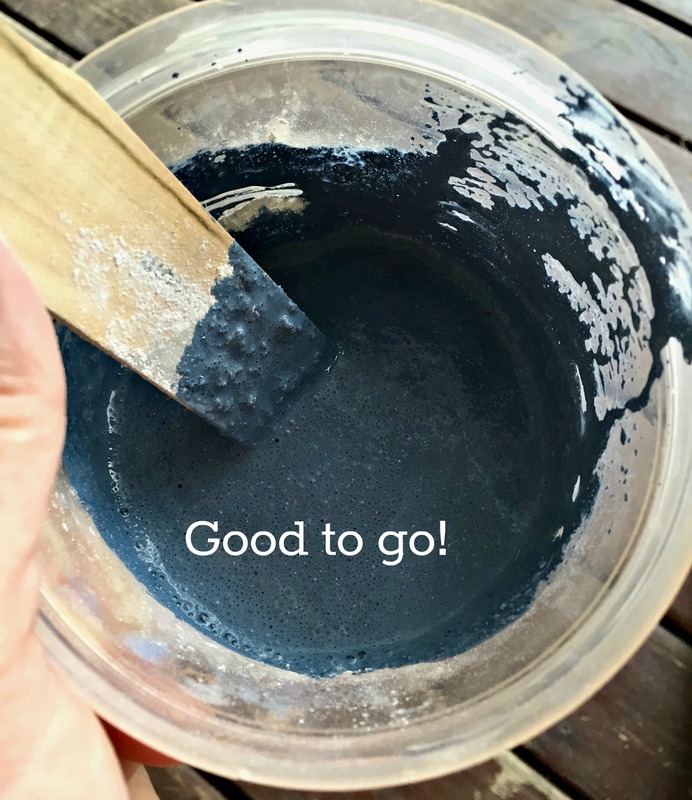 It’s non toxic, has no VOC’s, and it comes as a powder that you have to mix with water. It’s has an earthy clay type smell, and goes on smooth and has an ultra matte finish. It was actually really neat to mix the paint and was reminiscent of how painters and artists would have made their paint hundreds of years ago. 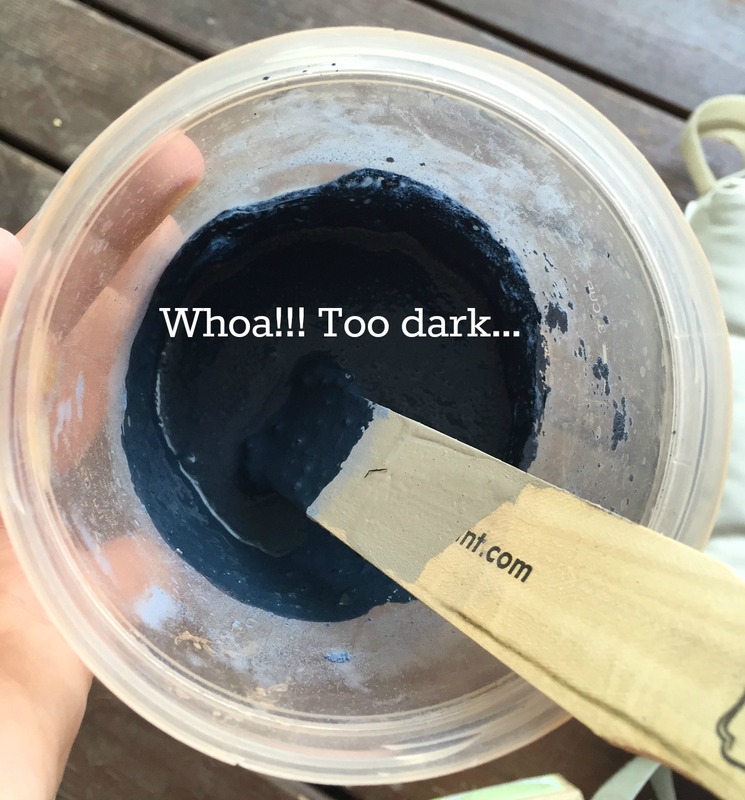 This is what my paint looked like when I started with just the Soldier Blue. 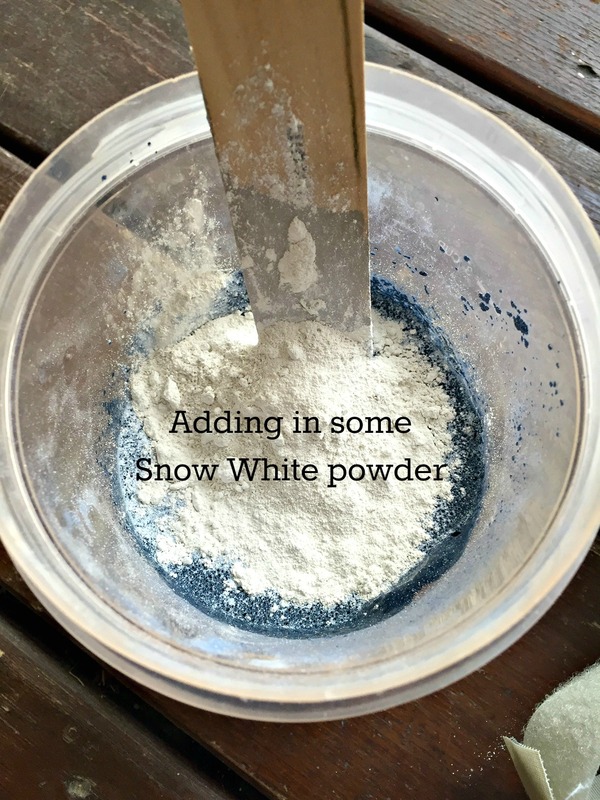 To get that farmhouse blue I was striving for, I had to add in some Snow White. There’s the blue I was hoping for. Like all paint, it did dry lighter than pictured here though. It took a bit of mixing, but the powder lumps eventually disappeared. For a non-porous surface, I would strongly recommend you use the Extra-Bond with your Milk Paint to help the paint adhere to your piece. 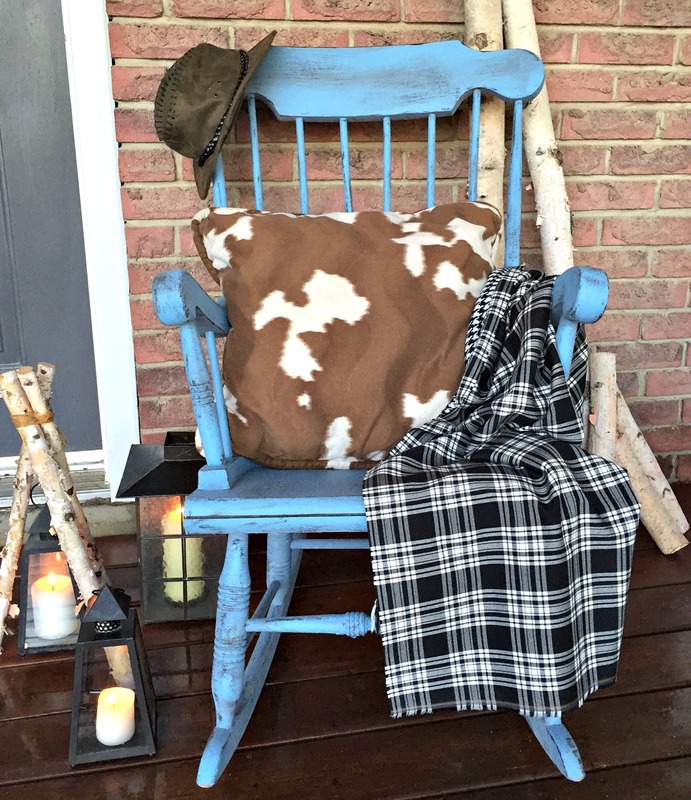 A piece can’t be considered farmhouse unless it’s properly distressed. After my piece was fully painted, I sanded it lightly, which removed some of the paint in some places. This was fine though, as I knew I would be distressing it. I mixed up a brown/black colour using simple craft paint, and gave the piece some dry brush action wherever I felt there would be natural wear on the chair. To further distress the chair, I took a small craft paint brush and painted along the edges of the chair, mostly at the top and the hand rails where paint would typically begin to wear off first. Once the piece was finished, I added the Safe Coat Acriglaze so it could withstand the outdoor elements. 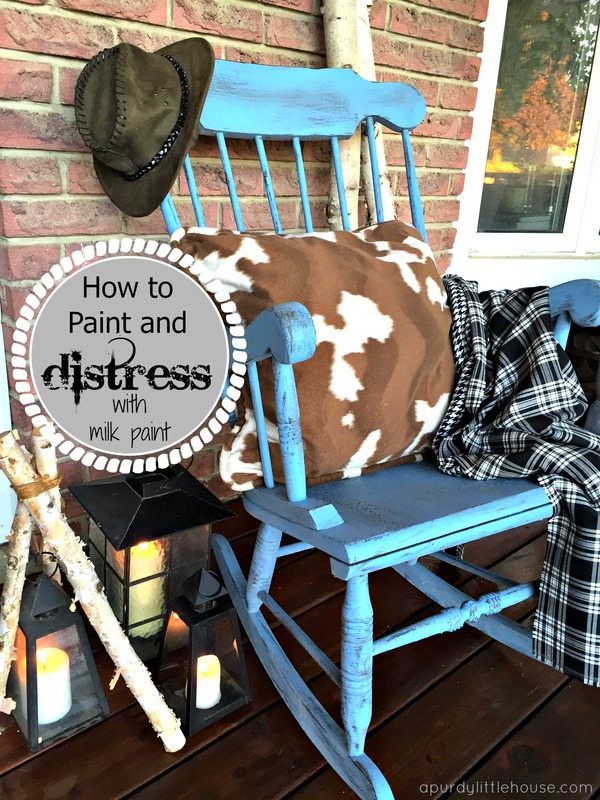 I chose the matte finish for the glaze, so that it kept the farmhouse look and feel. 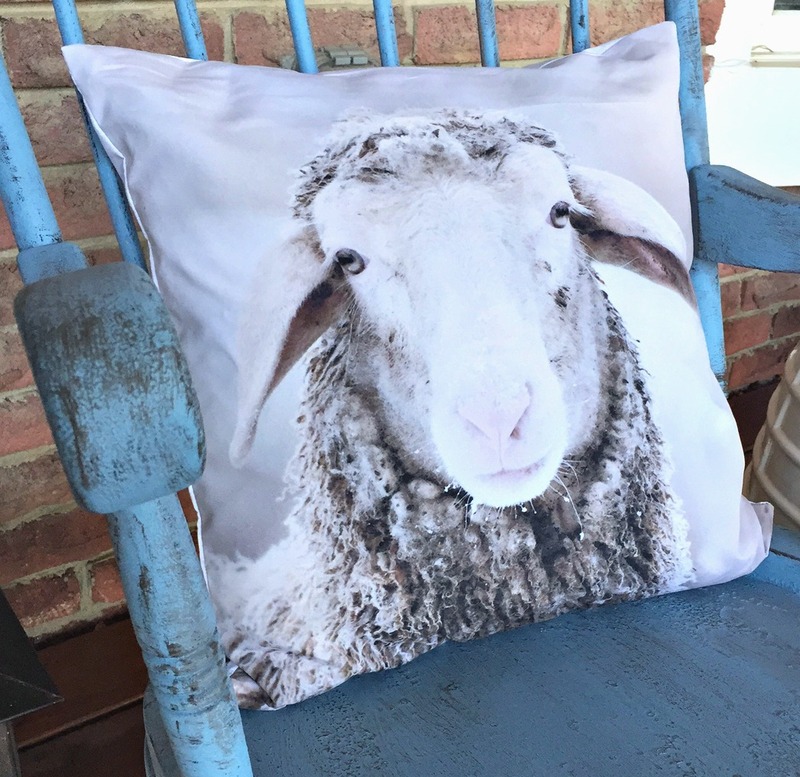 Here’s that pillow again. Oh my, I just love it! 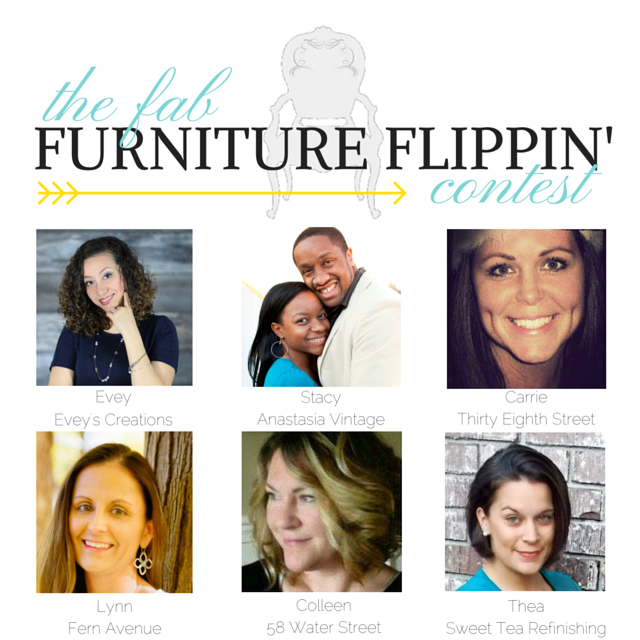 I’d like to thank the beautiful hosts of the Fab Furniture Flippin’ Contest once again for hosting the July Challenge. Please check out the featured bloggers projects here ——> Evey’s Creations and here ———> Anastasia Village. Any DIY bloggers interested in joining in on the Fab Furniture Flippin’ Challenges, please email info@fabfurnitureflippincontest.com. Sponsorship Disclosure: I was not financially compensated for this post. 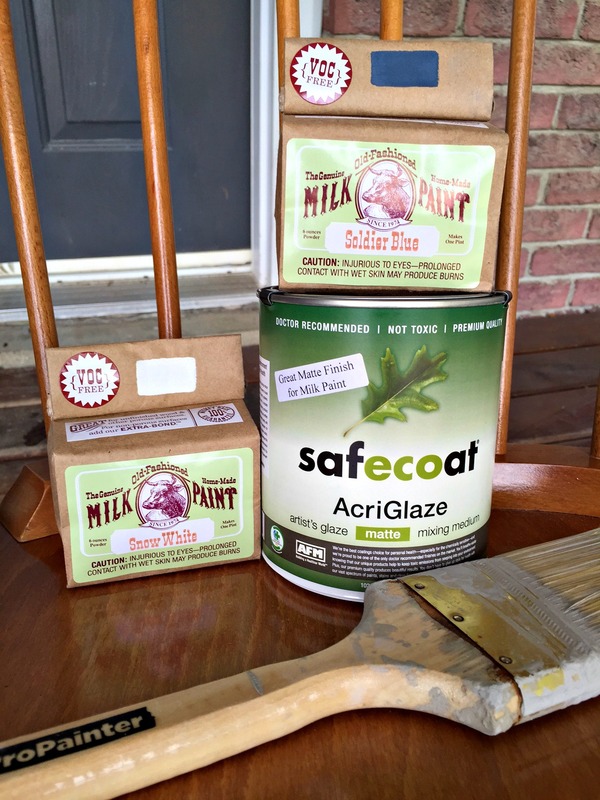 I did receive product from Old Fashioned Milk Paint in exchange for my honest overall impression of their product. All thoughts and opinions expressed are entirely my own.